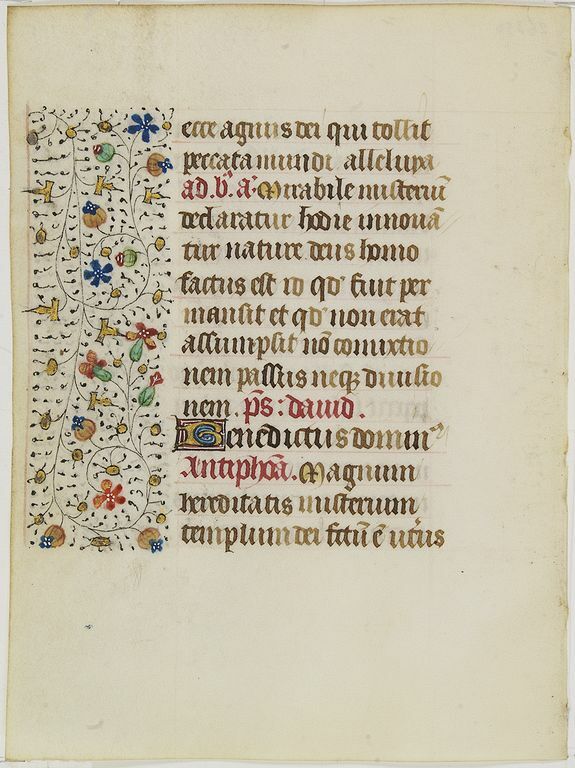 VERSO : With 1 one-line initials in liquid gold on red and blue ground with delicate white tracery. line-fillers in same. RECTO : 14 lines of text in brown ink. Ruling in pink ink in fine gothic textura script.